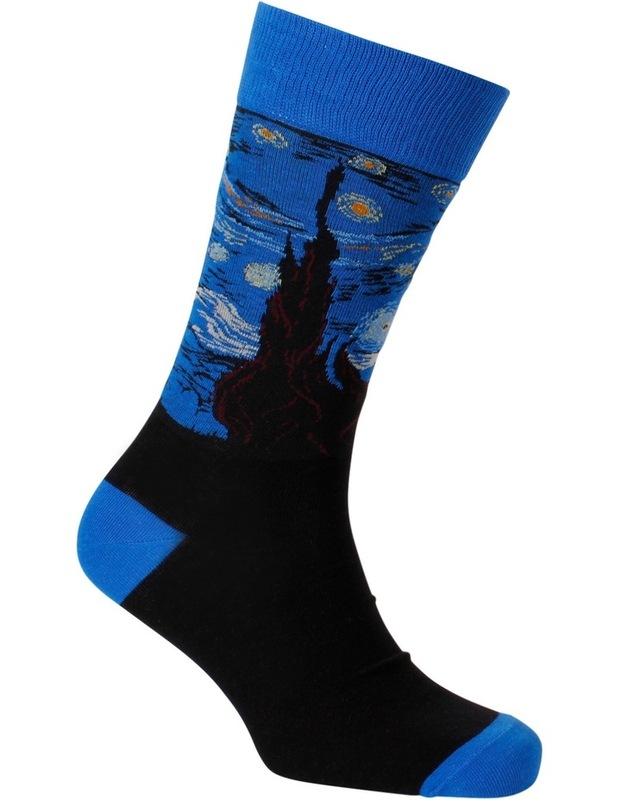 These stylish men's art series socks feature The Scream painting by Norwegian expressionist artist Edvard Munch. The works show a figure with an agonized expression against a landscape with a tumultuous orange sky. It is described as an icon of modern art, a Mona Lisa for our time. 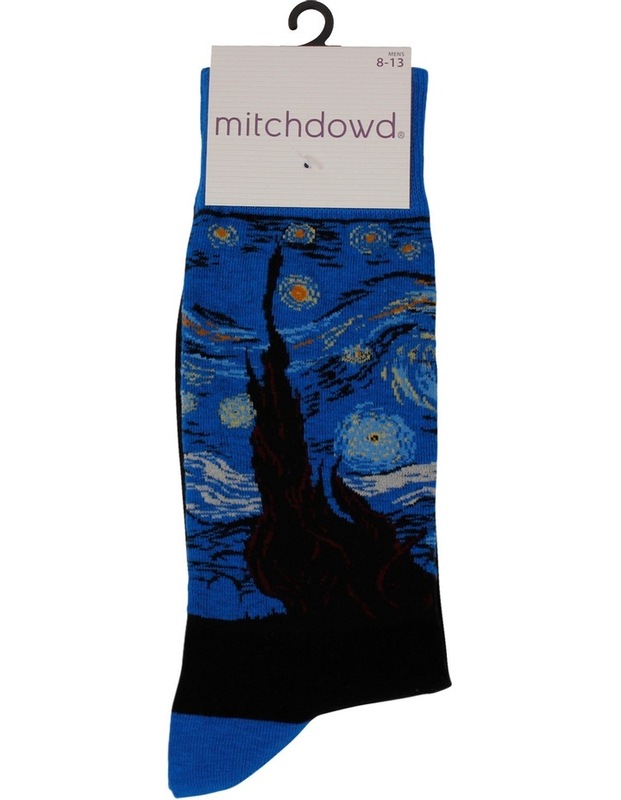 These socks are perfect for everyday wear or a great gift idea for the art enthusiast. 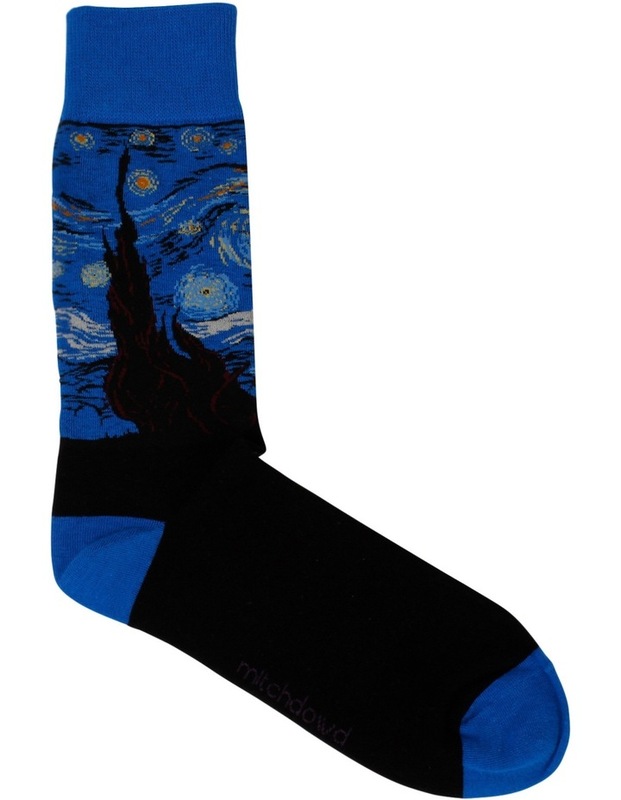 Size 8-13.